The Derwent Dambuster is an annual event to raise funds for Challenge Cancer Through Adventure. 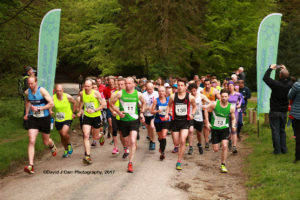 The event is a 10-mile run / challenge walk in the beautiful Derwent Valley. Your entry fees and sponsorship money raised are used to support CCTA challengers undertake adventures which can transform their lives. CCTA is a charity run entirely by volunteers, so the money raised really does go to support our challengers! Congratulations to all who finished this year’s Dambuster Challenge. You all helped raise over £4,500 for Challenge Cancer Through Adventure, many thanks to all of you. We are very grateful to Paul Dobie and his team from Cotswold Outdoor Bakewell store for sponsoring prizes, race numbers and providing an event shelters for the 2017 Dambuster event. Thanks Paul.